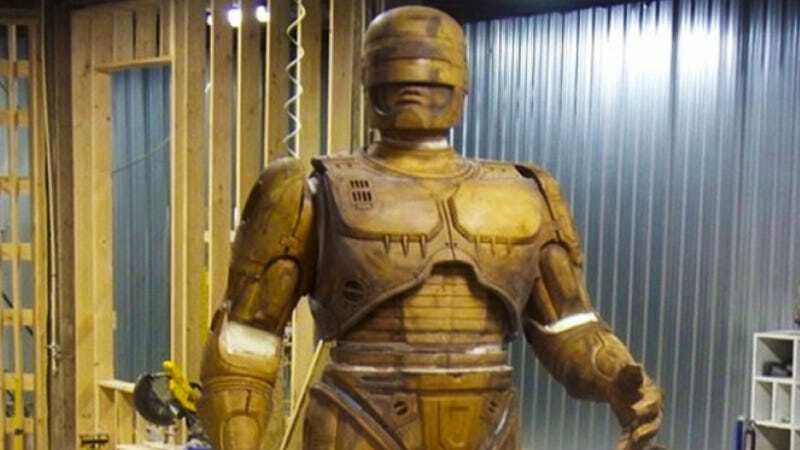 Remember Detroit's proposed 10-foot tall crowdfunded statue of RoboCop? Yeah, it's really happening. Here's the latest scoop on the Motor City's forthcoming monument to law, order and cyborg justice. Your move, creeps! The Detroit News reports that parts for the mold of the statue will be delivered today to Venus Bronze Works in Detroit. Those parts will be assembled and ready for bronze casting in about two weeks. The saga of the RoboCop statue has been a long and fascinating one. Originally it was proposed to Mayor Dave Bing in a tweet in 2011, but Bing dismissed the idea. Then a bunch of folks raised money through Kickstarter to make it happen. In other RoboCop news, the trailer for the José Padilha remake of the iconic 80s classic just dropped last night. It looks like 2014 is going to the year of RoboCop!